Broomfield, Col., Jan. 19, 2016 — Innovyze, a leading global innovator of business analytics software and technologies for smart wet infrastructure, today announced that Sunderland City Council, UK, has selected InfoWorks ICM Suite, the industry’s leading integrated catchment modeling solution, for local flood risk management. 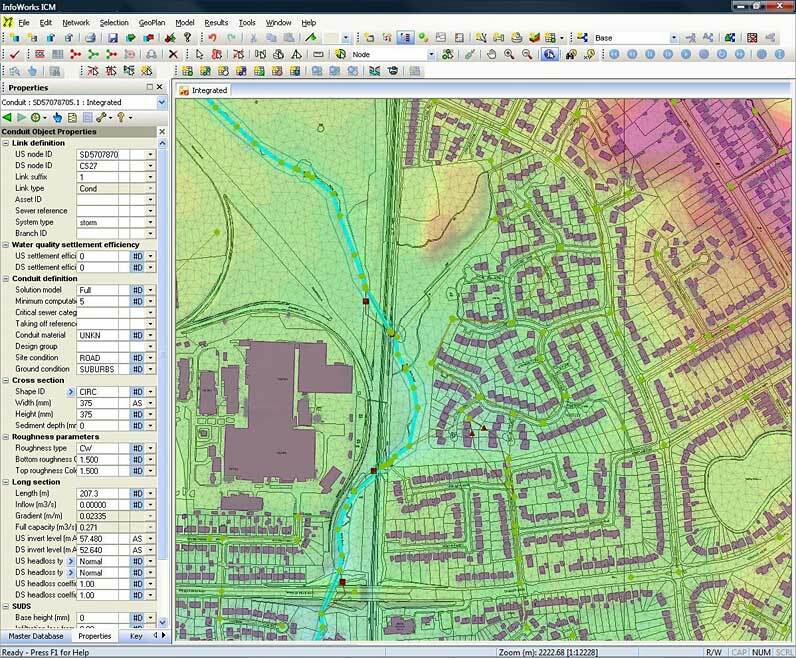 Taking advantage of InfoWorks ICM’s powerful 1D and 2D modeling capabilities, predictive analytics and powerful simulation extensions will better positioned Sunderland to implement an effective, reliable strategy for local flood risk management and maintain regulatory compliance. Sunderland, a city of nearly 280,000, is one of the largest in the North East of England and one of the UK’s greenest cities. It has undergone a radical transformation over the past three decades, as its focus has switched from coal mining and ship building to a modern, green industrial base. The city has always taken an innovative view of technology and has won two prestigious Beacon Awards (established to recognize excellence in UK local government). It has also earned a Lifetime Achievement Award as one of the world’s seven most IT-intelligent communities. A hallmark of InfoWorks ICM is its dynamic integration of one-dimensional hydrodynamic simulation of flows in rivers, open channels, and pipe networks with two-dimensional hydrodynamic simulation of surface flooding in the urban environment and river floodplain. The industry-leading software provides a powerful solution for simultaneously modeling belowground and aboveground elements of catchments to accurately represent all flow paths and improve understanding of processes occurring in the holistic environment. The software also takes into account interactions of natural and man-made environments and effectively simulates the water quality impact of polluting runoff and effluent from urban areas. Such advanced capabilities greatly enhance wastewater utilities’ ability to predict overflows; support cost-effective drainage design and management; develop online urban flooding forecasts; conceive and evaluate sound and reliable urban catchment strategies such as storm sewer separation, active real-time control, and provision of adequate additional storage; and improve the operation of any drainage system. InfoWorks ICM Suite also serves as a base platform for advanced integrated catchment modeling extensions. Among these critical applications are ICM RiskMaster (economic evaluation of flood risks), ICM TSDB (real-time data and event management), and InfoWorks PDM (probability distributed moisture modeling).